It's only happened twice in 37 years, but I ruined a cake and a meatloaf by cracking an egg into the mixture and finding out too late the egg was rotten. 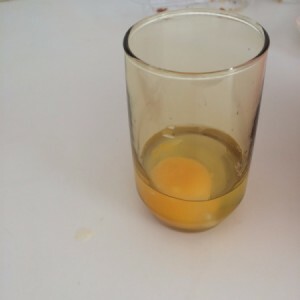 Break the egg into a separate cup, and then add. Better to throw out one egg than your whole recipe. This is good advice. We always did this when I was a child. We got our eggs from a farmer. The eggs he brought us were always fresh, but there was the occasional egg with blood spots about the yolk. Fresh, but we still wouldn't use these eggs in our cooking. It's also a good way to check for shells. Nothing ruins a meal like those pesky little buggers!